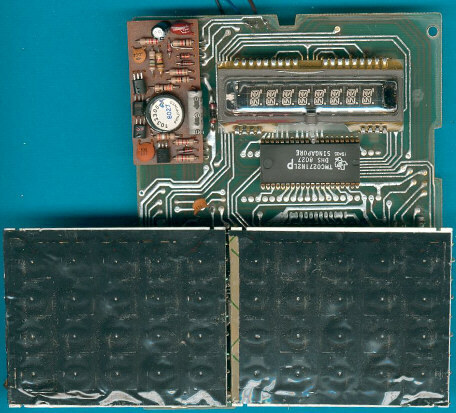 Printed Circuit Board with two keyboard panels known from the TI-1200. 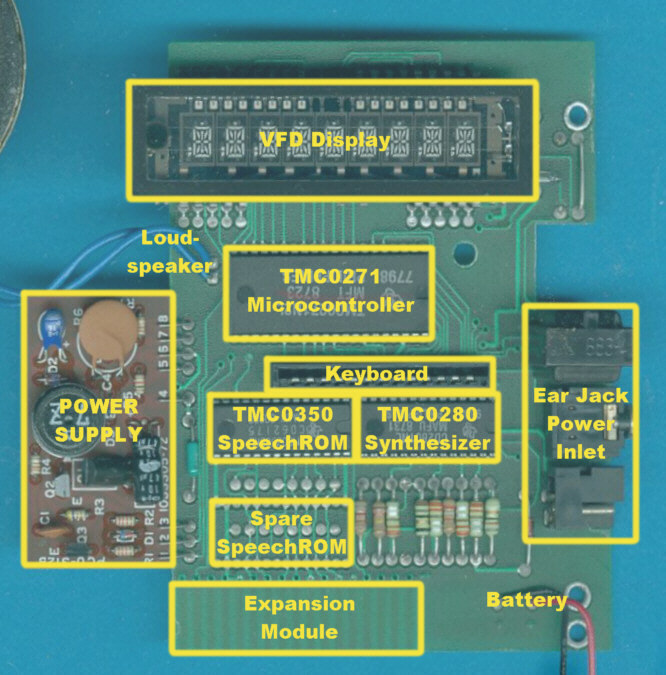 and the housing options of the TMC0271 single-chip microcomputer. 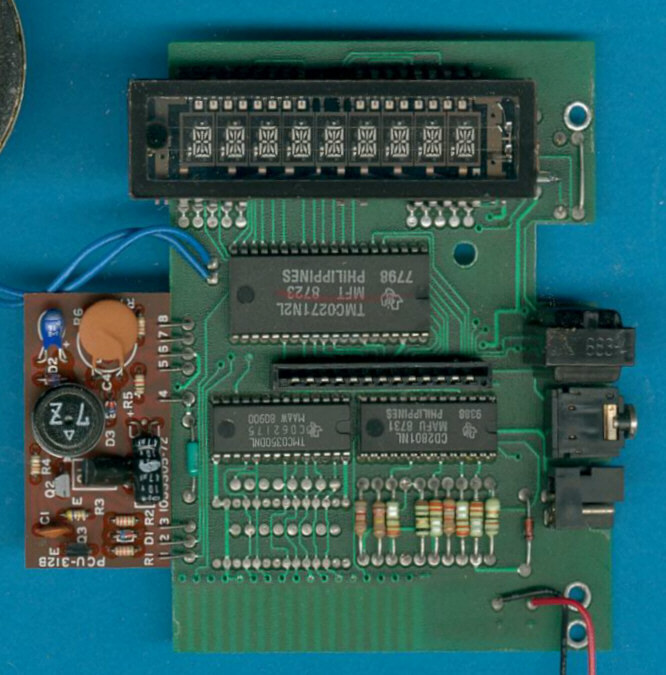 indicating the "Custom Data" of the British English voices. 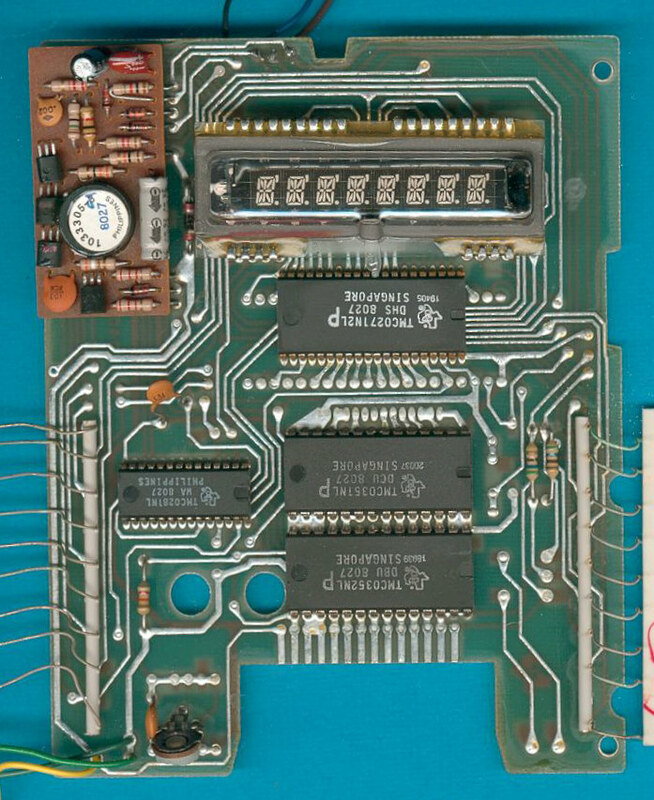 Solder side of the Printed Circuit Board. 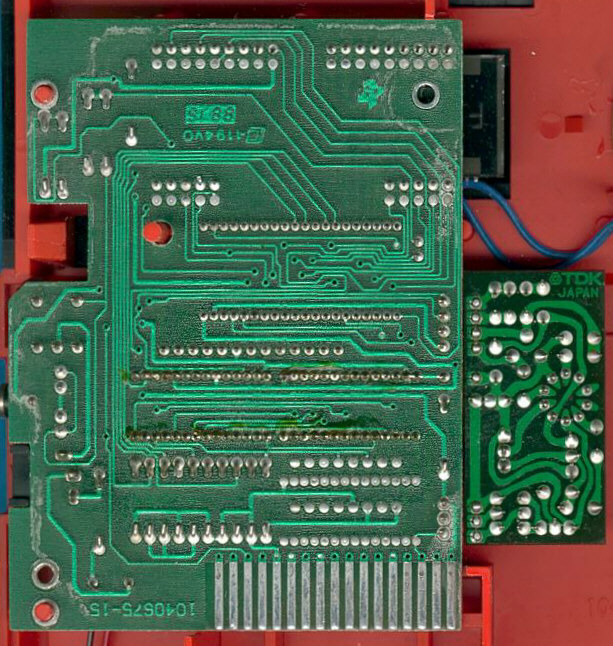 Component side of the Printed Circuit Board. 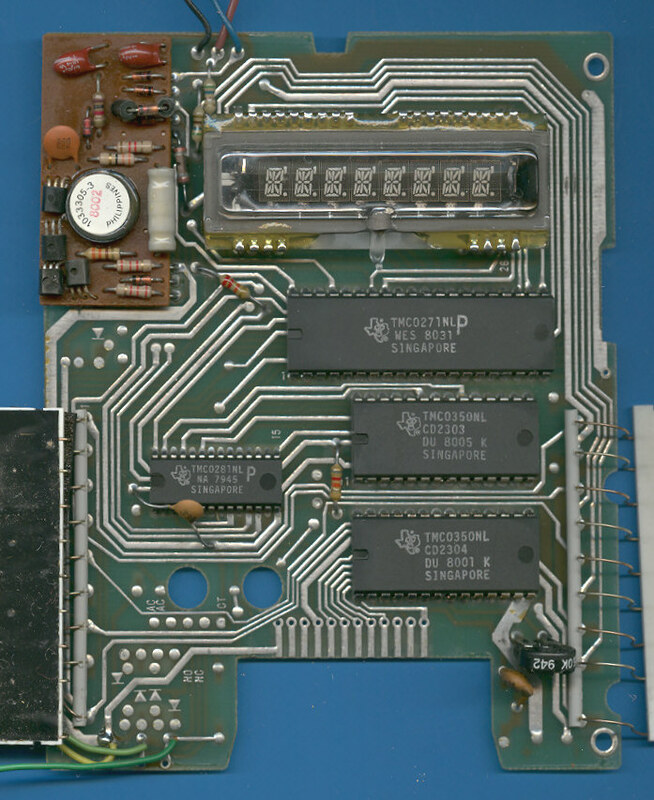 Parts assembled on the Printed Circuit Board. © Joerg Woerner, July 21, 2002. No reprints without written permission.